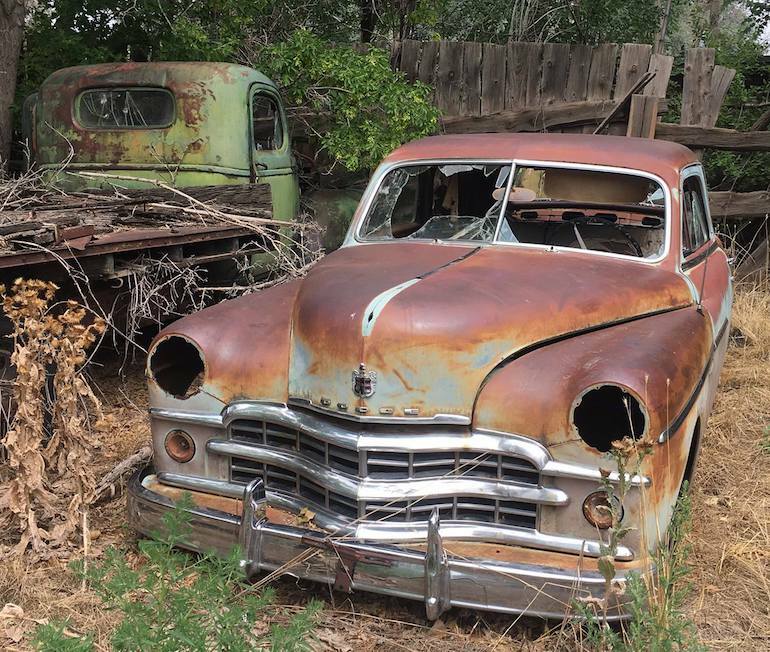 In southern Colorado, a wrecking yard with a collection of classic cars and trucks has been closed for over 30 years. The lot needs to be cleared and thousands of parts are now available in a closing estate sale. 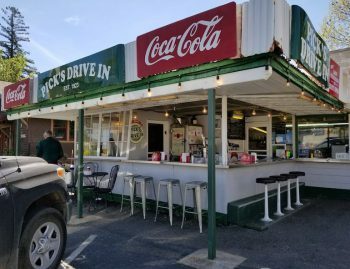 Some of the vehicles available include this restorable 1953 Chevrolet Cabover truck. The estate sale begins on Thursday, September 20, 2018 and is due to end on October 2nd, 2018. 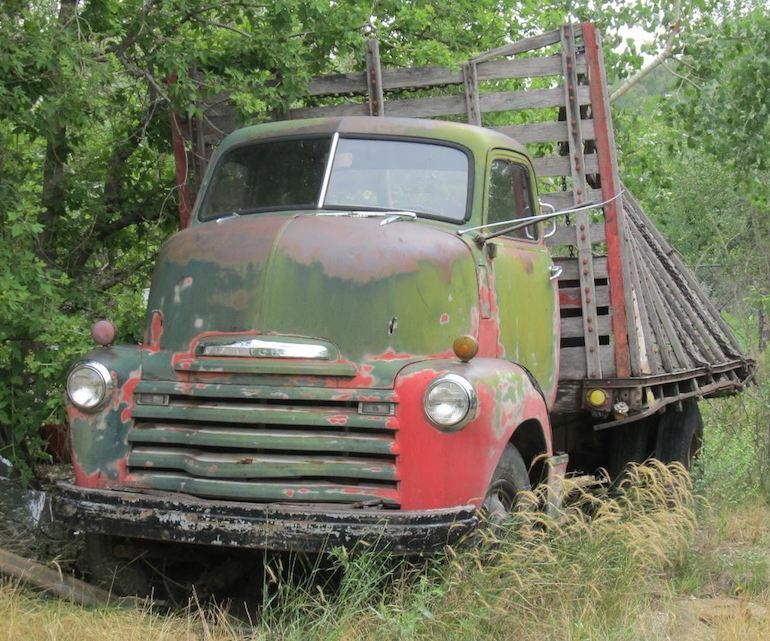 A 1949 Dodge lies beside a pickup. Doors, fenders, hoods, badges, stainless steel trim, engine parts, wheels and instruments are all available from hundreds of cars and trucks. 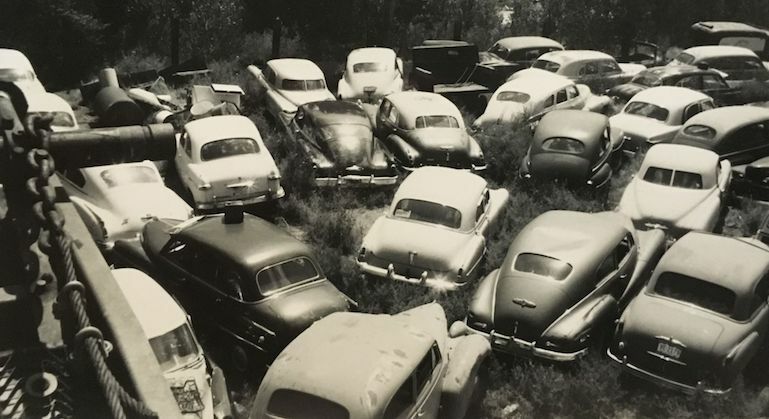 A photo taken during the early 1960s shows many classic cars in the same storage yard in southern Colorado.